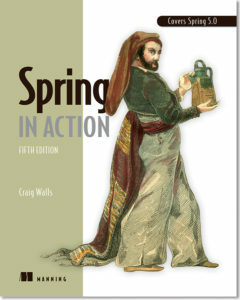 Save 37% on Spring in Action, Fifth Edition. Just enter code fccwalls into the discount code box at checkout at manning.com. Have you ever noticed that most people in television sitcoms don’t lock their doors? In the days of Leave it to Beaver, it wasn’t unusual for people to leave their doors unlocked. But it seems crazy that in a day when we’re concerned with privacy and security, we see television characters enabling unhindered access to their apartments and homes. Information is probably the most valuable item we now have; crooks are looking for ways to steal our data and identities by sneaking into unsecured applications. As software developers, we must take steps to protect the information that resides in our applications. Whether it’s an email account protected with a username/password pair or a brokerage account protected with a trading PIN, security is a crucial aspect of most applications. If you’re using Spring Tool Suite, then this is even easier. Right click on the pom.xml file and select “Edit Starters” from the “Spring” context menu. The starter dependencies dialog appears. Select the “Security” entry under the “Core” category as shown in figure 1. Figure 1. Adding the security starter with Spring Tool Suite. Believe it or not, that dependency is the only thing which is required to secure an application. 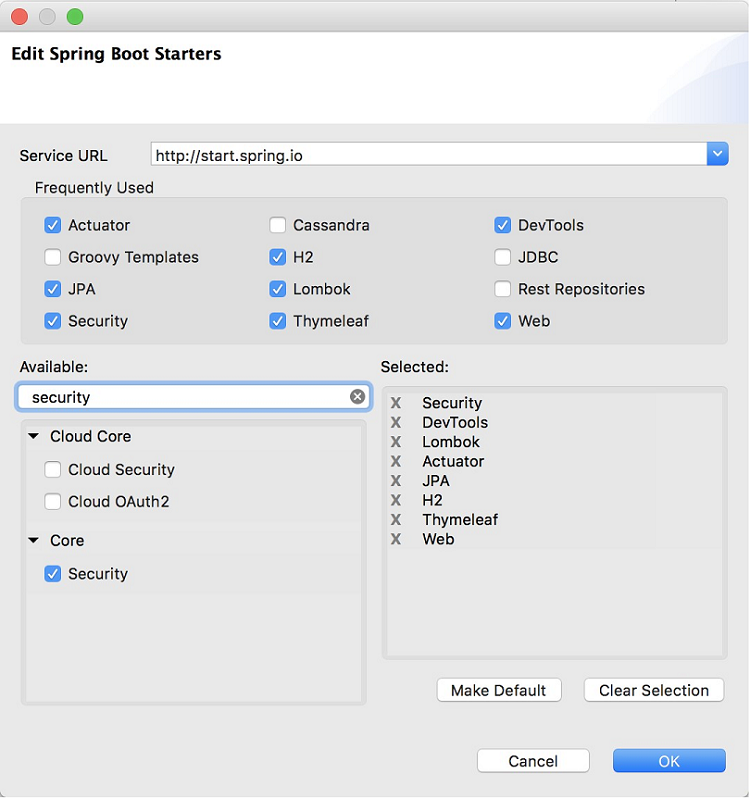 When the application starts, auto-configuration detects that Spring Security is in the classpath and sets up some basic security configuration. Assuming you enter the username and password correctly, you’ll be granted access to the application. It seems that securing Spring applications is easy work. Now that I have secured my precious Taco Cloud application, I suppose I could end this article, but before we get ahead of ourselves, let’s consider what kind of security autoconfiguration provides us. All HTTP request paths require authentication. No specific roles or authorities are required. Authentication’s prompted with HTTP Basic authentication. Only one user exists; the username is “user”. Although this seems to be a good start, I’d think that the security needs of most applications (Taco Cloud included) are quite different from these rudimentary security features. To achieve our security needs for Taco Cloud, we’re going to need to write some explicit configuration, overriding what auto-configuration has given us. The next step would be to start with configuring a proper user store to allow more than one user, but that’s a topic for another time. If you’re interested in learning more about the book, check it out on liveBook here. Also see this slide deck for more info.